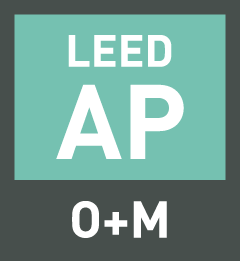 Our LEED AP O+M Practice Tests provide students with a preview of the LEED examination experience. It is a functional replica of the LEED AP tests, and provides students with an opportunity to become familiar with green design principals, construction, and sustainable operations in an interactive software. Our original LEED mock exams consists of multiple-choice questions that test the knowledge and skills required to become a LEED AP and LEED Green Associate. Each practice exam allows students to focus on specific credit categories and provide real-time feedback on correct and incorrect answers. Students are able to review completed practice tests and pause and begin saved practice tests. [testimonial_content] => "The GBES products were essential in my preparation. The responsiveness and flexibility of the practice exams along with the format really provided a true view of the actual exams. I felt prepared and confident after using the Green Exam products. I passed the GA and the O+M on my first attempt!" "The GBES products were essential in my preparation. The responsiveness and flexibility of the practice exams along with the format really provided a true view of the actual exams. I felt prepared and confident after using the Green Exam products. I passed the GA and the O+M on my first attempt!" WHY ARE THE O+M PRACTICE TESTS SUCH A GREAT VALUE? The original LEED practice tests trusted by thousands now updated for LEED version 4. You’ll receive access to 400 questions in our online learning platform written and evaluated by LEED professionals. Our LEED O+M e mock exams are assessed by a psychometrician to ensure our practice questions evaluate the knowledge needed in order to pass your exam the first time. The LEED O+M Practice tests will ensure you have a thorough understanding of green building, the O+M rating system and certification process. If you are new to the O+M credential, we recommend updating to a complete exam prep package with 6 hours of on-demand video training, flash cards, and our custom study sheets. That way you save a lot of time by not having to purchase and read the LEED v4 O+M reference guide.